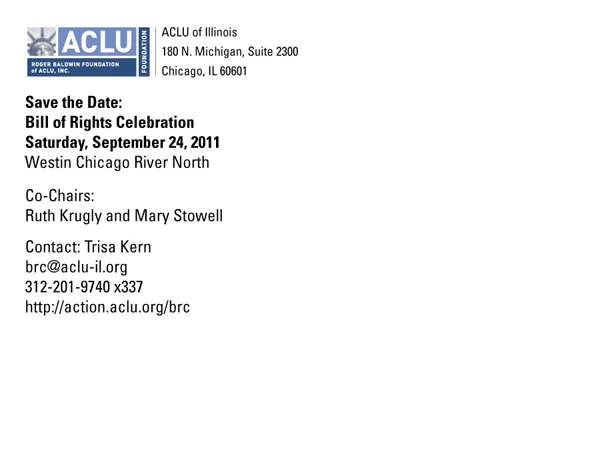 Last month, I was approached by the ACLU of Illinois to design a save-the-date postcard for their annual gala. 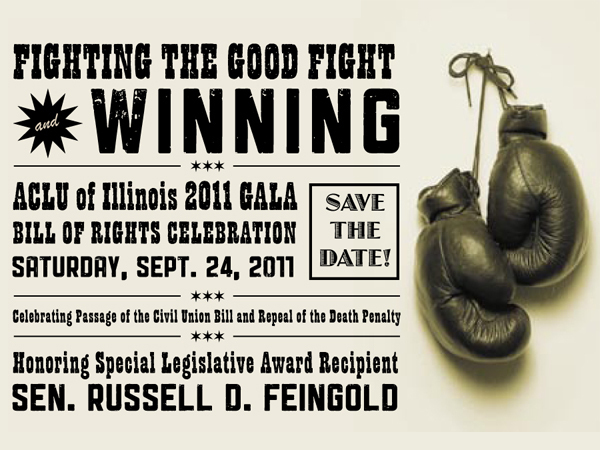 The only requirement was that it be tied into their boxing-themed 2010 Annual Report, designed by Elaine Fong and Thomas Richie. 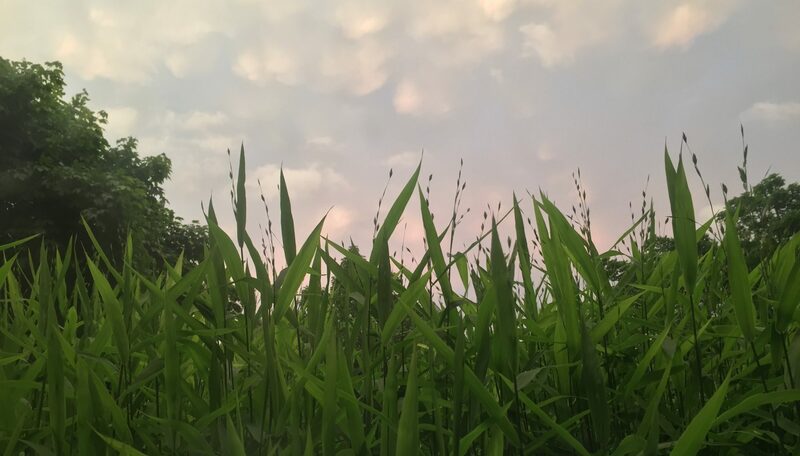 The final product is below. I am especially proud of the fact that, despite the copy provided, I managed to NOT hide a Charlie Sheen face somewhere in the design.